Mark your calendars for Friday, November 16 for REEL ROCK 13 at ONSIGHT ROCK GYM! Adam Ondra, the 25-year-old Czech crusher, is exploring a new realm of human potential in climbing. Late last year, he established a benchmark for the sport; a 5.15d in Norway he dubbed Silence (as in, drop the mic). On the heels of this ascent, we follow Adam from his home in Czech Republic, across Europe to North America, as he innovates new training methods, establishes upper echelon routes, and attempts to climb a 5.15 on his first try. 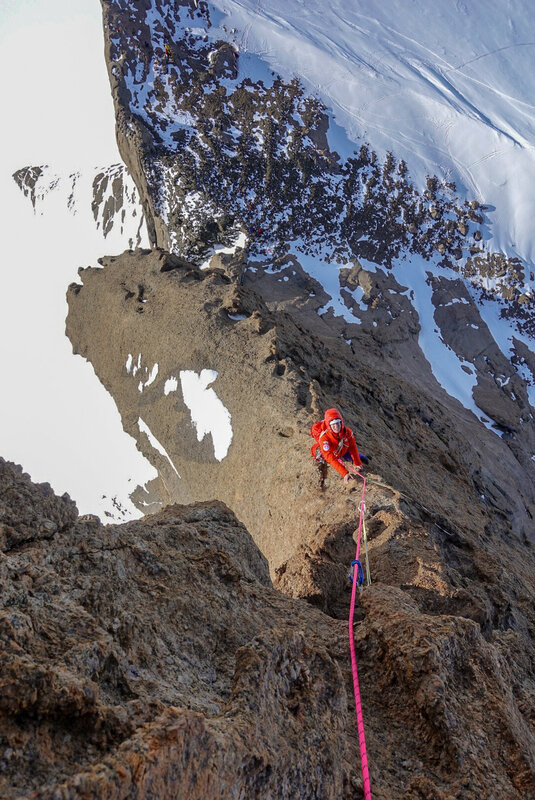 A dream team of six elite climbers mount an expedition to one of the world's last great climbing frontiers: the remote frozen towers of Antarctica. Jimmy Chin and Conrad Anker tackle a new route on the 3,600-foot Ulvetanna; Savannah Cummins and Anna Pfaff summit Holtanna; and Alex Honnold and Cedar Wright make a harrowing and hilarious blitz of 13 different spires spread across the ice field, including one pitch that Honnold calls "the scariest I have ever led." Queen Maud Land, the name of this icy region, showcases a stunning rarely-visited wilderness, and the suffering and vision needed to climb at the bottom of the world. We are excited to once again partner with REI Knoxville to co-host this year's screening. Come early and hang out at our pre-show party featuring games, raffles, a food truck, and beer by Lilly Pad Hopyard and Brewery, AKA Del and Marte's! 100% of all Lilly Pad beer and raffle ticket donations will be donated to East Tennessee Climbers Coalition and Southeastern Climbers Coalition. These organizations work hard to protect climbing crags in our area! This event is BYOS – Bring Your Own Seat. Get creative and bring your pillows, blankets, folding camp chairs (i.e. crazy creeks), hammocks or portaledges to hang low on the wall, crash pads, and similar seating ideas. Make sure your chair doesn’t have narrow feet – they will injure our mats. We will have a few seats courtesy of REI and PLENTY of space for your seat of choice! College students, bring valid student ID to be verified upon check-in. Student discount applied ONLY to Advance Tickets. Advance Ticket sales will CLOSE at midnight on November 15. Price INCLUDES all pre-show activities from 6:00-7:30 PM and one raffle ticket. Rental gear NOT included. The gym will be closed to public use starting at 5pm. DOWNLOAD THE “I’M GOING TO REEL ROCK” INSTAGRAM STORY AND FACEBOOK/INSTAGRAM POST BELOW!